Our service and maintenance program is designed for ALL brands of air conditioning systems. During Sacramento’s blazing hot summers, an air conditioner that is improperly maintained is a veritable loose cannon. Ensuring your unit is both working and well-maintained is vital to battling the intense summer heat, especially for homeowners in the Folsom, Sacramento, and El Dorado Hills areas. Plan ahead and ensure the excellent condition of your AC with preventative maintenance plans from California Energy Services. Simply put, a maintenance plan is about prolonging the life of your heating and air conditioning system, and upholding the manufacturer’s warranty. A quick check-up ensures there are no lurking issues or lagging parts with your system, and helps you avoid pricey and unexpected emergency repairs. In the long-run, a properly-maintained AC is less likely to develop expensive complications and hiccups. An air conditioner operating at peak efficiency keeps your home comfortable during the hot summer months. Get peace of mind by doing preventative maintenance now, before AC costs rise and repairs get harder to schedule! Since not all AC units are created equal, it’s important to have your unit routinely serviced by a NATE certified technician. AC maintenance with California Energy Services will ensure that your system runs as efficiently as possible, reducing your unit’s environmental impact while saving you money on utility bills. 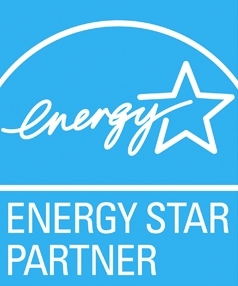 At California Energy Services, our team is comprised of experienced home upgrade contractors who have a deep understanding of building science and cooling system maintenance. We’re highly experienced in air conditioning system maintenance of the top brands in the industry, including Trane, American Standard, Goodman, Bryant, Carrier, Coleman, Bard, Daikin, Haier, Honeywell, Lennox, Rheem, and more. Don’t let an unexpected air conditioner breakdown ruin your summer! Call California Energy Services today to schedule your preventative maintenance appointment.